For the record, I'm not associated with 4Noggins at all -- except as a customer. I already smoked a Maddis in February, but I am going "full meer" for the rest of the month. Shouldn't be too difficult for me! Time for mid-morning break. 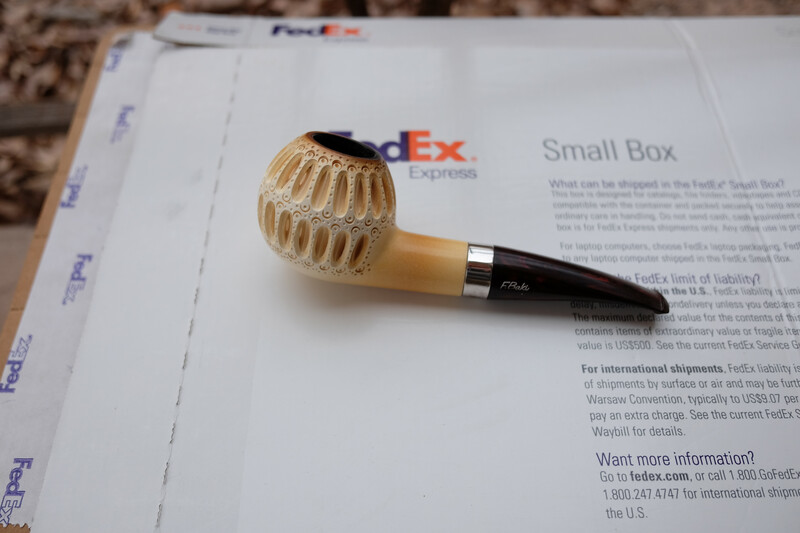 Having a partial bowl of Mac Baren Scottish Mixture in the still new Ropp Canadienne -- with more coffee. Doh. This doesn't belong here. Sorry. Im down to one meer bowl. I have a new unsmoked Baki that I got last year. I have been toying with the idea of selling it but I may just break it out for this March. Dibs on the Baki if you ever decide to sell... or I show those Polaroids! To heck with the polaroids I’ve got video! Hey @mongo, the note looks fine, I don't think it'll be traceable. Here’s hoping mine doesn’t start off like last years. I broke my only meer Falcon bowl right at the beginning. I bought another one a few months back. You both do know that you are both in the same polaroids and vidoes????? I have a lattice that I will be fiddling with until it smokes decent. If I lose my temper and crush it in a fit of frustration, I will be finishing the month with the Altinok billiard.